Are women short-changing themselves by not understanding their unique feminine power? Barb talks to Andie Hight host of Native Wisdom Radio about helping women learn how to use our wisdom, charm and sensibility to feel successful and fulfilled. Let’s tap into our true power centers! Effective negotiating to lessen the pay gap between the genders. It’s a roundtable discussion with Desiree Fontaine, the host of the popular midday tv show CT Style (WTNH), and some savvy women including Bloom’s Barb Scala, Eileen Breslin, Deputy General Counsel for NBTY, Inc. and Lisa Wexler host of The Lisa Wexler Show. Why are women still paid considerably less than men in the workforce? And, how can we negotiate for better salaries and raises? 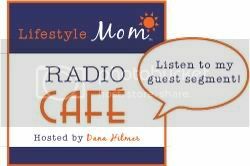 The tables are turned and this time I’m being interviewed on the LifestyleMom Radio Cafe with Dana Hilmer. It’s all about “The Possibility of Everything” and how we can make changes in our life and bloom. Along with Dana’s first guest Hope Edelman author of Motherless Daughters, I chat about hosting Bloom Talk Radio and spotlighting inspirational women and also, working with women who are making transitions and changes in their lives. Find out how we can all bloom in our own unique way and plant the seeds to get there! Barb’s on The Mary Jones Show at 12:30pm on October 24, 2009.